eNLokam: 687.71 million mobile connections in India!!! You have mobile phone with you, haven’t you? Each and every person you met on the road hold one, aren’t they? Did you ever think how many mobile connectios are there in our country? Its an amazing statistics, hard to believe! 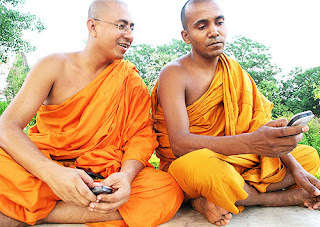 The number of mobile connections in India reached 687.71 million according to recent report. 17.10 million subscribers newly entered in September only! According to the Telecom RegulatoryAuthority of India, the wireless phone user base grew 2.55 percent to 687.71 million in September, from 670.60 million in the previous month. With this, the total telephone subscriber base in the country, both wireless and wireline connections combined, touched 723.28 million. The total telephone density reached 60.99 percent. 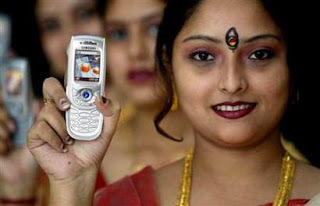 The growth in India’s wireless phone category was led by state-owned Bharat Sanchar Nigam Limited. According to the data, the broadband subscriber base grew 2.08 percent from 10.08 million in August to 10.29 million in September 2010. However, the wireline segment declined further from 35.77 million in August-2010 to 35.57 million at the end of September 2010.